The Orangetheory Fitness studio facility plays a crucial role in the success of Orangetheory Fitness. 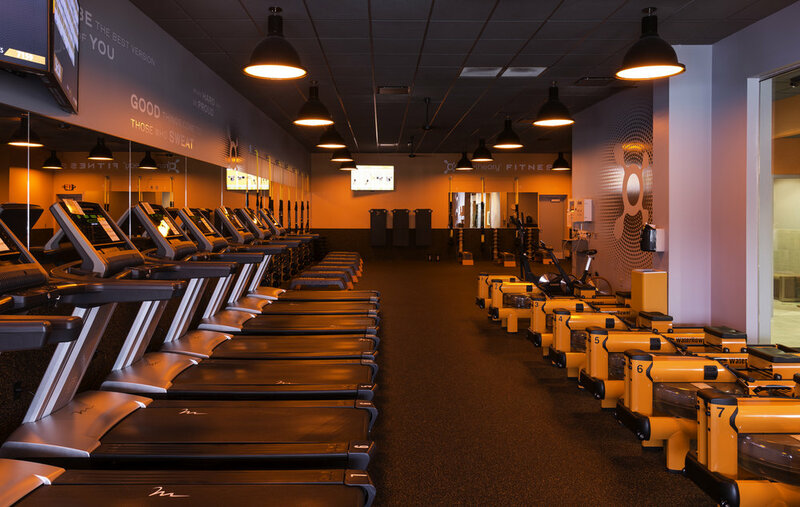 The branded environment establishes the quality of Orangetheory Fitness design; it paves the way for a constructive and collaborative relationship with the customer, and it sets the stage for sales success and for creating measurable market share. The Orangetheory Fitness layout and acoustic requirements are a challenge to adapt to existing spaces and unique site conditions. Program areas include reception, restrooms, showers, office area and workout space. GROTH Design Group designed new buildouts that communicate the Orangetheory brand identity and experience goals while adapting to the existing buildings constraints. Each studio has established quick success and Orangetheory continues to grow in the Milwaukee area.